During the first six months of 2014, Volkswagen remained the top-selling auto brand in Switzerland with the VW Golf still the favorite car model of the Swiss. During the first six months of 2014, Volkswagen was again the best-selling car marque in Switzerland but BMW and Skoda were more popular than Audi. The VW Golf remained the favorite car of the Swiss with the Skoda Octavia again the second best-selling car model in Switzerland. As usual, the Swiss market was again very competitive with several changes in rank positions of both manufacturers and car models. 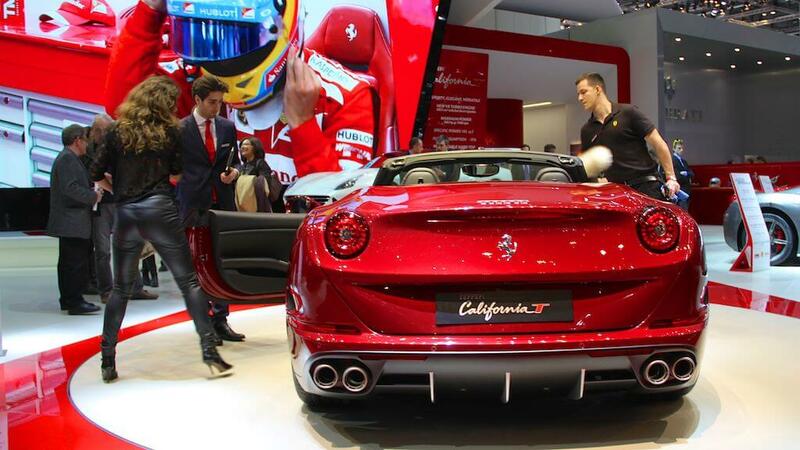 The Swiss also continue to eagerly buy Italian supercars such as Ferraris and Lamborghinis. New passenger vehicle registrations in Switzerland contracted by 4.1% to 149,905 cars during the first six months of 2014. This compare with 156,305 cars in first semester 2013 and 177,310 during the record year 2012. The Swiss also continued to buy more 4×4 vehicles. All-wheel drive cars now have a 37.9% share of the market due to both the increased popularity of SUV and crossover models but also with many regular cars being available in Switzerland with all wheel drive and price premiums dropping. Despite slightly underperforming the broader market, Volkswagen maintained its leading position as the strongest carmaker in Switzerland during the first six months of 2014. However, the positions on the rest of the top-ten list of best-selling car brands changed from a year ago. As usual, the second-placed make in Switzerland is around half the strength of Volkswagen but this semester the second place belonged to BMW rather than Audi, which slipped two places with much weaker sales. Skoda registered a strong increase in sales and improved two places from a year ago. Mercedes is down one place despite positive sales. Only around 700 cars split the difference between third placed Skoda and fifth placed Mercedes Benz. Opel and Ford swapped positions with both brands recording further losses, although Opel did outperform the broader market. Renault and Toyota both maintained their ranks from a year ago despite both marques selling more than 14% fewer cars than a year ago. Hyundai leapfrogged both Peugeot and Citroen to enter the top-ten list of most popular car brands in Switzerland for the first time. The most-improved brands were Jeep up by a half and Kia up by more than a third. Skoda did the best of the top brands. The worst performing brand was Honda that had sales yo-yoing in recent years. Chevrolet, which is withdrawing from Europe, was down by more than a quarter. Mini sales were down by nearly a quarter, largely due to a model change. Smart bucked the trend in Europe by increasing sales in Switzerland. In many other markets, Smart has been sharply down this year in anticipation of the launch of a new model later in the year. The VW Golf easily maintained its position as Switzerland’s favorite car during the first half of 2014. The Skoda Octavia was again the second most-popular car in Switzerland. However, the rest of the top-ten list was much more competitive with the difference between third and tenth place only 718 cars. On the whole, the top-ten list was a triumph for the larger Volkswagen Group: five of the cars were Volkswagen-branded vehicles with Volkswagen-owned cars taking a further three places. The Audi A3 shot up to third from 15th spot a year ago. The third best-selling car in Switzerland during the first half of last year, the BMW 3 Series, slipped to sixth place. The Volkswagen Polo and Volkswagen Tiguan swapped places: the difference this half year only one car. The Seat Leon (a sister car of the VW Golf and Skoda Octavia) was the most-improved car on the list. It shot up from 32nd a year ago to seventh during the first half of 2014. The Peugeot 208 slipped two places, the VW Touran improved four, and the Audi A4 slipped three. The three cars dropping off the top-10 list of mid-year 2013 were the VW Passat (10th to 17th), the Toyota Yaris (8th to 22nd) and the Ford Focus (9th to 29 th). The Swiss car market is small but highly competitive – the top-10 list of best-selling car models may well look different by the end of 2014. The VW Golf and Octavia Skoda are unlikely to change positions but for the other cars, the differences in sales are remarkably small. For reference, a VW Jetta is more exotic than Ferraris on Swiss roads (7 Jettas were sold during the first six months of 2014 in Switzerland).